There are enormous benefits to communicating with your customers via E-mail rather than over the phone. Most customers prefer E-mails to phone calls any day of the week. Put yourself in their shoes. Would you want to receive a call at 10 a.m. from a company you recently did business with? Chances are that most customers are at work when you try to call them, and they may get off work after your business closes. So, they have to go out of their way to return your call. This can be especially aggravating to customers when the phone conversation will be about an error on your part. If you’ve been having some trouble with your computer system or shipping and realize you won’t be able to deliver a product to a customer on time, let them know by E-mail. Keep your E-mail concise and to-the-point. Customers appreciate shorter E-mails, and they are more likely to read them all the way through. Remember that your customers are probably busy people who don’t have time to read an incredibly long E-mail from you. Always mention how much you appreciate their business. If you are sending them an E-mail about a mistake your business made, don’t take up any space in the E-mail trying to justify the mistake. Take responsibility for it and apologize. You might even want to go as far as attaching some complimentary coupons to the E-mail to make up for any errors on your company’s part. 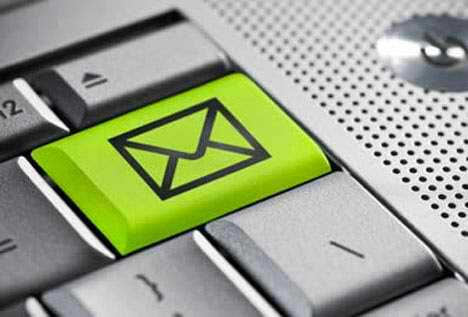 Put the name of your business and a brief summary of your message in the subject line of the E-mail. Customers may delete the E-mail if they can’t figure out whom it’s from or what it’s about right away. If customers delete your E-mail without reading it, they may feel frustrated later when they think you didn’t contact them about an important matter (even though you actually did). Reread your E-mail and check your tone. Tone is the trickiest part of written communication. Something you intend to come across friendly could come across as sarcastic. Check the E-mail for any statements that could be read as sarcastic or insincere. Keep the tone of your E-mail as positive as possible. Author’s Bio: Ryan is a guest blogger who writes about professional business tactics, houses for sale in Austin TX, Kyle homes for sale and real estate business. This is a very useful post for a marketer like me. Now I have an idea what to do to satisfy my customer’s needs through e-mail. Thanks for this tips. As a businessman I know that customers don’t like to receive e-mails that are hard to understand even I myself don’t like to receive e-mails that will require me to read it for so long before I get to understand what is it about so it is better to make it short, concise and straight to the point. I usually answer my customers through e-mails in a very concise manner. I just answer their questions and explain a little bit so that they will not find it confusing. I actually don’t read e-mails from companies if it’s about promoting a product or offering discounts or coupons. I just check out their message to see if they have already sent me a reply regarding my concerns.